Who is Responsible for an Automobile Accident? You are here: Home / Car Accident / Who is Responsible for an Automobile Accident? The person who is found at fault in an automobile accident is liable for the other party’s damages. 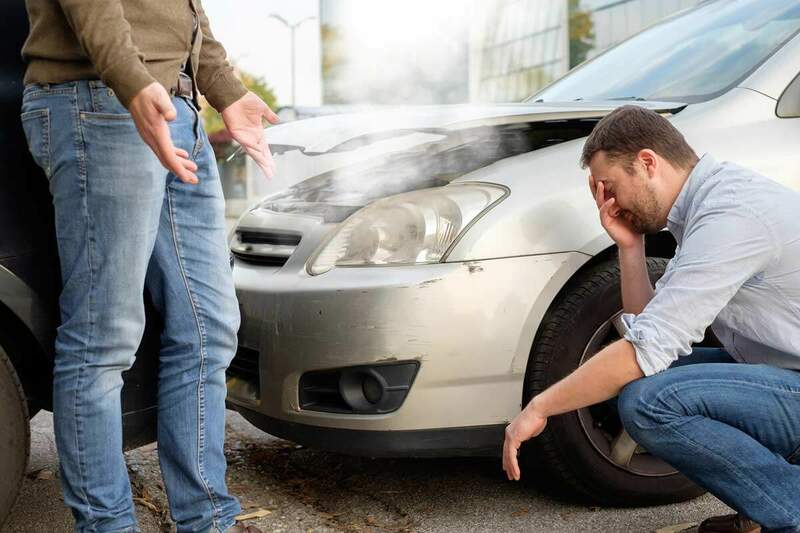 Missouri is an at-fault state, which means that whoever was negligent and caused an auto accident is responsible for paying for any damages and injuries. A driver is found to be at fault either through doing something to cause the accident, or by failing to do something that directly led to the accident. The person who is found at fault in an automobile accident is liable for the other party’s medical bills, property damages, and lost wages. In the state of Missouri, a person who is in a car accident has the ability to recover for both economic and non-economic damages. However, there are times when there are more than just two drivers involved in an accident, and other parties might be responsible for paying for any damages and injuries that were sustained. Examples of other people who might be held liable in an automobile accident are employers that employ the at-fault driver, a car manufacturer, or even an insurance company. Because auto accident liability is not always cut and dried, if you are injured in an accident it is critical to get the advice of a St. Louis auto accident attorney. Missouri law dictates that drivers carry a mandatory minimum auto insurance policy of $25,000 for any bodily injury for any one person, $10,000 coverage for any total property damage, and $50,000 in the event that there is more than one person injured in an accident. Therefore, the at-fault driver’s insurance is responsible for paying for the damages to the other party. If the liable driver also carries collision insurance, then their insurance coverage will cover any property damage that they sustain. There are times when the mandatory minimum coverage is not enough to cover the cost of damages. If that happens, then the at-fault driver might be responsible to pay any overages. The party who is injured does have the right to sue the at-fault driver for any additional outstanding costs. How Can I Fully Protect Myself from Liability in a Car Accident? To make sure that you are fully protected against any personal liability, it is a good idea to carry more than the mandatory minimum insurance coverage. While you have the right to sue the at-fault driver for any outstanding costs, it is important to remember that the reason that drivers typically don’t carry insurance is that they can’t afford it. This means that even if you are awarded damages, you might not be able to collect if the defendant doesn’t have the means — which is why it is always a good idea to purchase uninsured motorist coverage on your own policy. If you are in a car accident in St. Louis, it is imperative that you consult a St. Louis auto accident attorney. What may seem straightforward can become very complex quickly, and you will want to have a professional on your side guiding you through the process.